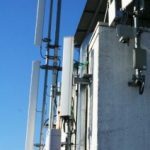 Market Rent Index - Antenna Management Corp.
Have you noticed more activity on cell sites lately? Wonder why? What is the rent Index for your site? How much capacity does a site have? How much gross? Most sites gross over $1 million annually – some up to $6+ million. The market Rent Index uses gross average revenue for all sites across Canada. Many rents being paid are under 1% and provide no increases for 20+ years ignoring inflation. CISCO estimates Canadian capacity growth at 42% annually to 2020. As revenues increase, are landlords getting a fair share? Current rent is what is paid by a carrier. Market rent is what the site is worth to its owner. ← Concerned About Your Cell Site?